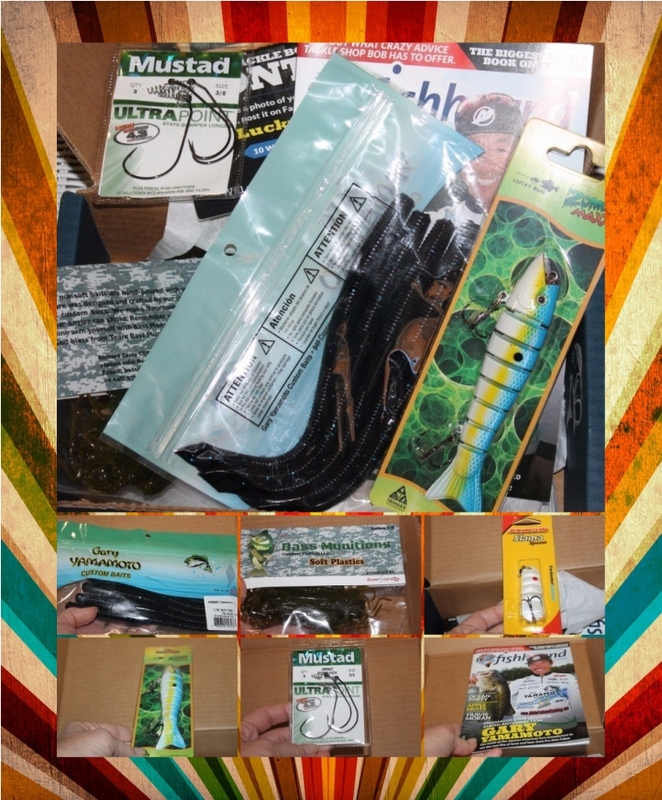 This post is made possible by luckytacklebox.com. 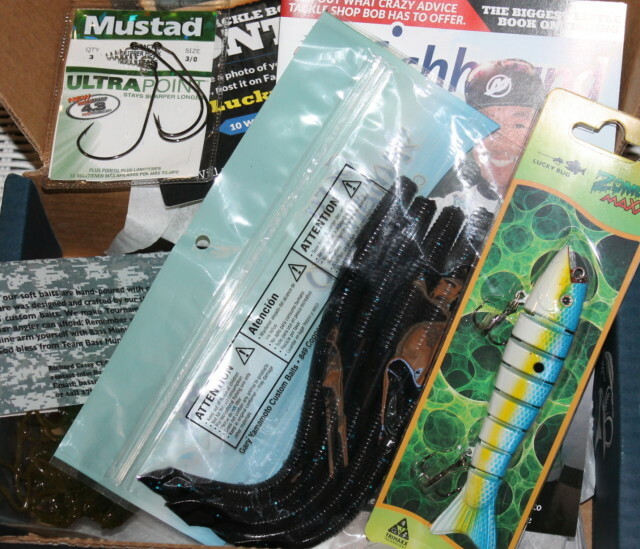 I was excited to receive a Lucky Tackle Box for review because I’ve been looking for gift ideas for men. 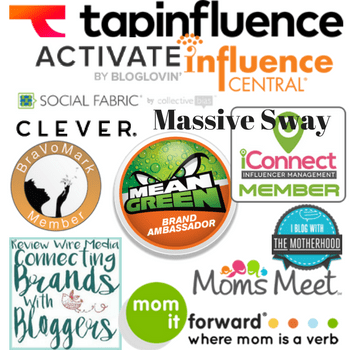 I wanted to see just what this company has to offer and if it was worth a monthly subscription fee. Well, I think it is and I’ll show you what all came in my first box so you can see for yourself if this is a holiday gift idea that you’d be interested in. It’s hard for me to figure out what to get the hunters/fishers in my family so having this unique idea for the fishers helps make my gift giving easier and headache free. I selected the monthly bass fishing tackle boxes. This little book on fishing is sure to keep your fisher entertained while reading all of the great stories included. 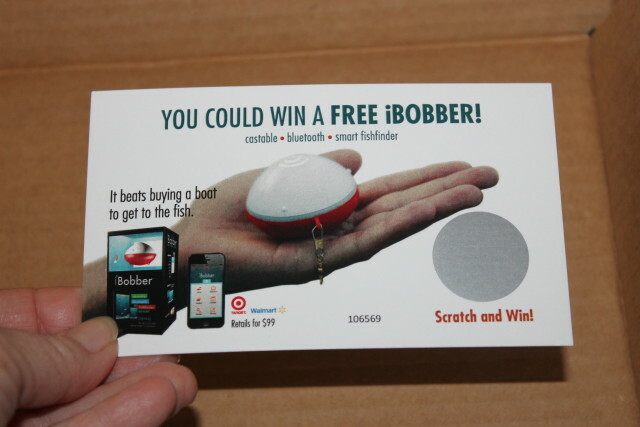 Also inside is a scratch and win card for a free iBOBBER (retails for $99). 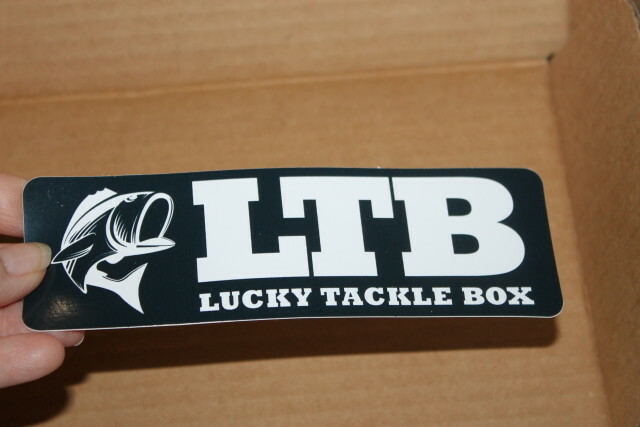 I also received a LTB, Lucky Tackle Box sticker which I’m guessing my fisherman will put on his tackle box. 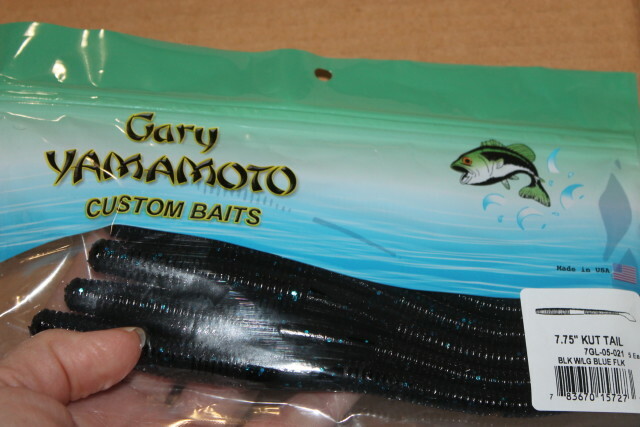 I received a package of 5 Gary Yamamoto custom baits. I know your guys will know what to do with these even though I don’t have a clue ;). 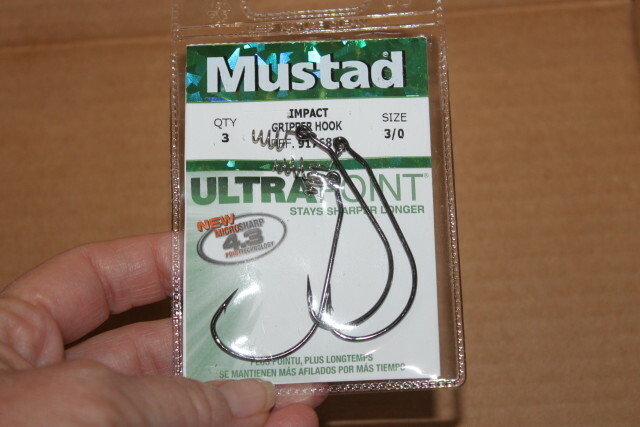 There is a pack of Mustad impact gripper hooks, quantity- 3, size- 3/10. They look like they could catch some mighty big bass. Can’t you just imagine the big fish tales you’ll hear? The ones that always get away are the biggest from my experience. 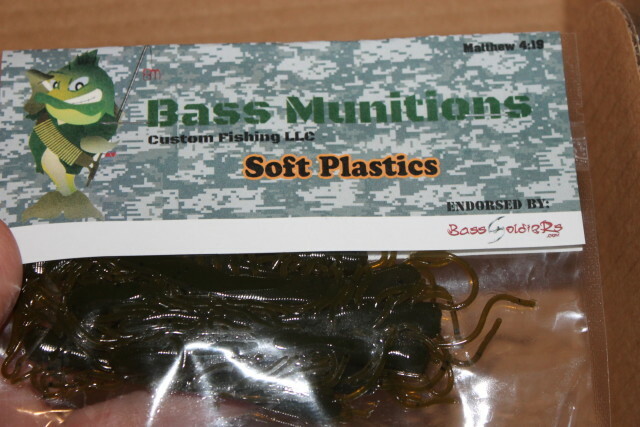 There is a nice big large pack of Bass Munitrions soft plastic fishing baits as well. Creepy looking little critters. Of course a bass tackle box wouldn’t be complete without a Lucky Big Zombie Maxx. This bait provides ultra-realistic swimming action. 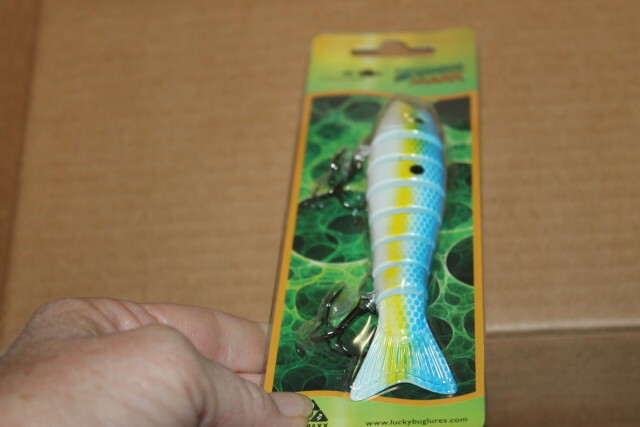 Last but not least is a Johnson Slama-Spoon bait that provides a wide, swinging action to help your big fisher land that big mouth bass he’s been dreaming of. 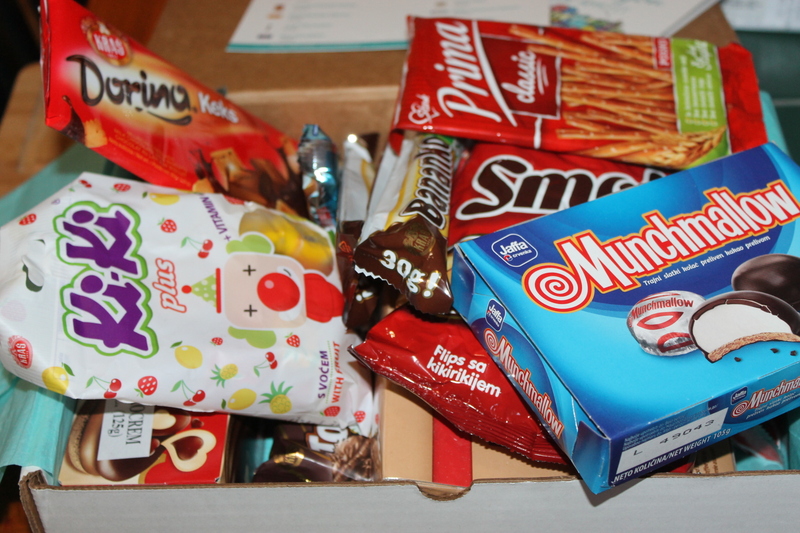 One of he things I like about this subscription box service and I think you will as well, is that you can select from 1 box, 3 months, 6 months and even 12 months. This truly is the gift that keeps on giving, depending on how generous you are in giving. 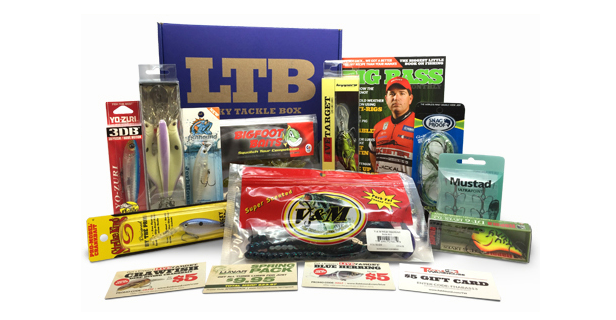 Your mighty fisherman can enter a contest to win a year of lucky box subscriptions buy taking a unboxing photo of themselves with their Lucky Tackle Box and sharing it on Facebook, Twitter, Instagram or YouTube. 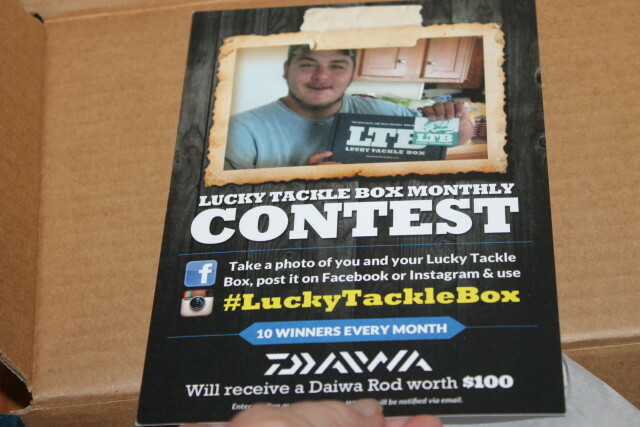 Be sure to use hashtag #LuckyTackleBox with the unboxing photo. They also offer a monthly giveaway that I’m sure you’ll want to check out as well. Which one of the fishing tackle boxes would you most like to purchase? Bass Fishing, Panfishing or Inshore Saltwater Fishing? That is so cool. I bet I know a bro in law that would love. This looks like such a neat subscription box. It seems like you don’t see many boxes aimed towards men. Great tips and idea, now its not even hard for me to choose what gift should i give to my father. Thanks to this. This is such COOL idea for a box! I have a friend who would love this as a Christmas gift! What a great idea! I know my Hubs would love this. He loves to fish. This would be a great subscription box for my dad. He enjoys fishing and goes every other weekend. This is a great gift idea. I think my Dad would love this he goes fishing in the summer. What a great idea for my uncle this year for Christmas! 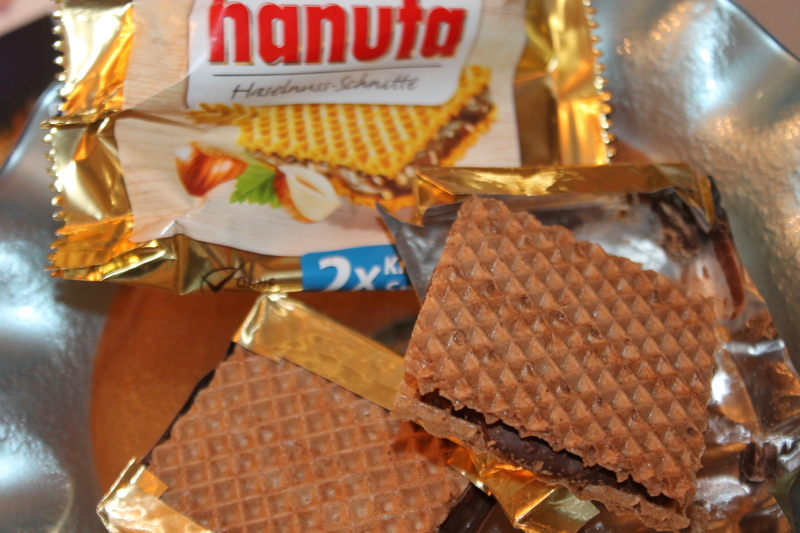 He will be SO happy – this is a brilliant and very unique subscription box, for sure! I love subscription services! I would love to get this or give it to my husband, we both love fishing. Such a great idea, my hubby would love this, I will let him know about this. 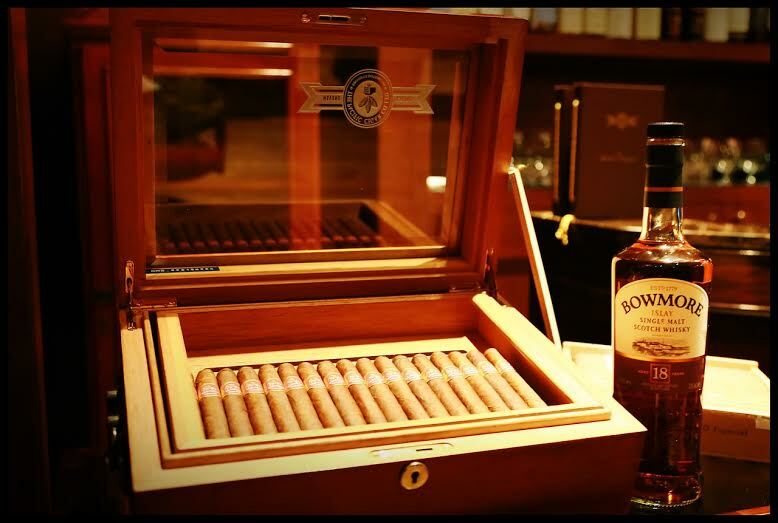 This sounds like a great box for fathers/sons or for grandpas. A great reminder to spend some one-on-one time often doing things you love. This looks like a great idea for a Christmas present! I personally would be inclined to buy the bass set. 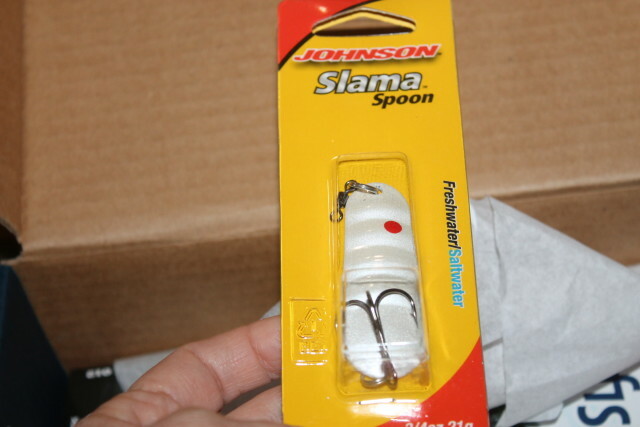 I’s like the Johnson Slama Spoon bait too! Ah, what better gifts for men than anything that involves fishing! Lol. These are great gift ideas, especially for dads and uncles! On his boat on the lake, but i don’t like to touch the fish. What an amazing idea! My husband is a fly fishing fanatic and I know he would really love this gift. Thank you for sharing the idea!! This looks like Ideal birthday gift for Men! 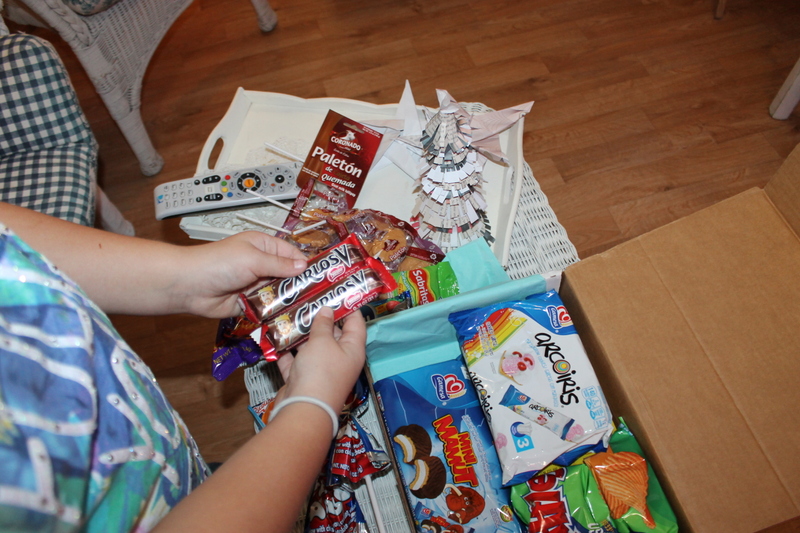 Great subscription box!! My dad is a big walleye fisher. 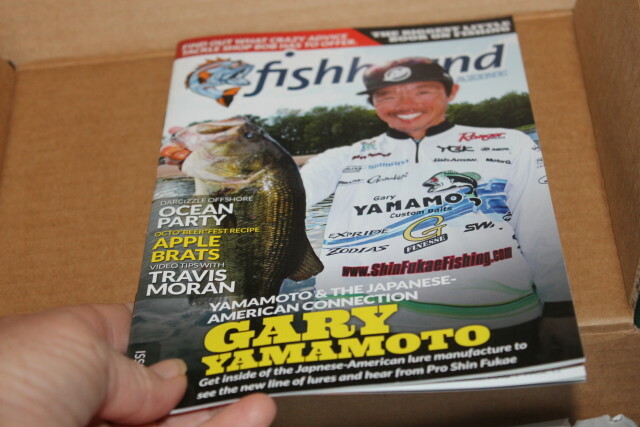 Wonder if they have a box specifically for that kind of fish/fishing…I will have to check it out! What is an ibobber? Whatever it is I want it! I fish sometimes with my grandpa. I can imagine this would be like Christmas morning for a fishing enthusiast. 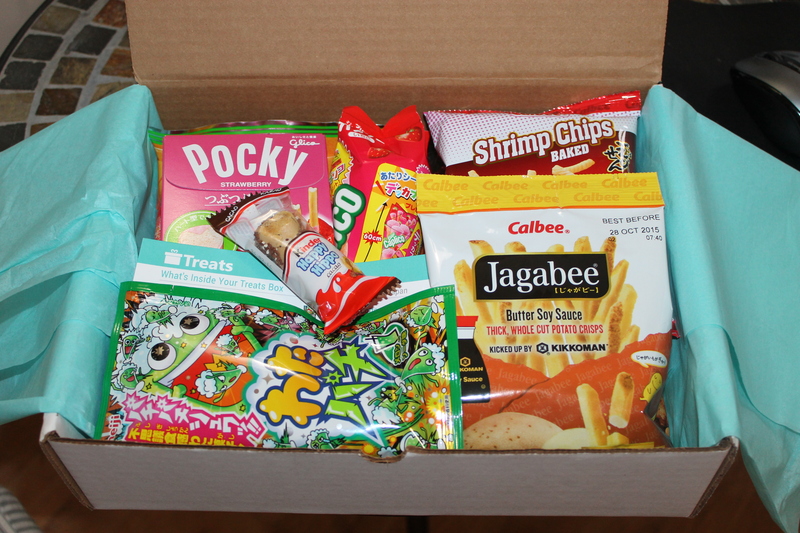 What a great subscription box idea. My husband is not the norm when it comes to guys. He hates fishing, camping and most sports, but this sounds awesome for most other guys.